Do you need a more engaging way to teach and review sight words with your students? 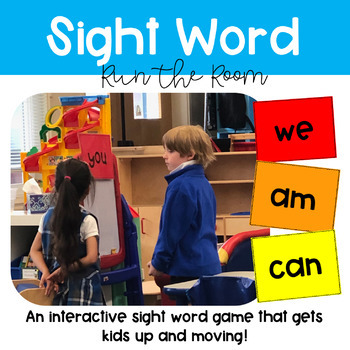 This game is a great way to get students moving around the room while learning their sight words. With so many ways to play, this game will become students favorite way to learn and review sight words. This resource comes with directions on all the different versions to play, prep directions and an easy sight word set up. To set up, simply type your sight words (30 at a time) into a chart. The sight words will then appear on all the following pages. You can choose to print full page, half page or quarter page. Take pictures of your students using this resource and tag me on Instagram!